news 01.08.16: At the Swiss National Day, a small group of Wingsuit pilots did another lake crossing in freefall. All started at the Skydive Switzerland DropZone with the Cessna Caravan plane and jumped from 15'000 feet altitude over Sigriswil. 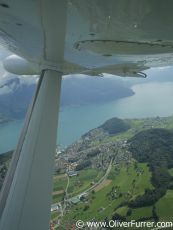 After, all jumpers flow over the lake Thun and landed save under their parachutes at Spiez. 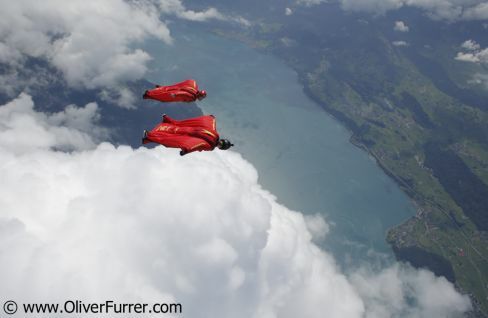 It was fantastic to play with other Wingsuit jumpers over the beautiful Berner Oberland area.